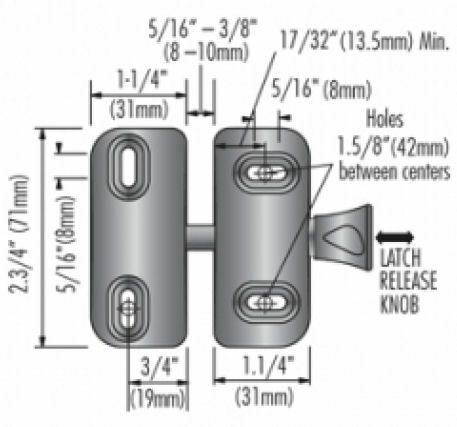 The MagnaLatch® Side Pull Model is an inexpensive, general-purpose, magnetic gate latch that offers simple, effective latching for home and garden gates. With a new sleek design, it offers horizontal and vertical adjustment of up to 5/16" (8mm) for quick installation and extends the life of a gate by allowing easy accommodation of gate sagging and movement over time. The Side Pull Model is also available as a Glass Gate Hardware Kit, specifically designed to fit glass pool gates and 50mm (2") round posts. Click the button below to add the MagnaLatch Side Pull Lockable Gate Latch to your wish list.